Essie has introduced its Winter 2014 Collection, and of course, it's nothing short of amazing! Whether you are attending a black tie soiree or a romantic, fireside dinner for two, there is a nail polish in this collection that's suitable for any holiday gathering. Personally, I can't wait for the holiday season to be here so that I can flaunt these fab colors on my nails. 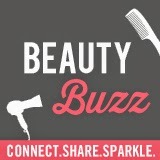 For more of the best in beauty this week, be sure to check out #BeautyBuzz hosted by Momtrends, Mama in Heels, Sassy Moms in the City and Jo-Lynne Shane! Don't miss it for the best beauty products, beauty secrets, and fabulous beauty giveaways.